King Saint Louis IX was born in the castle at Poissy near Paris on April 25, 1215. His devout mother, Blanche, was determined that he should be educated not only for the earthly kingdom he was to govern, but still more for the kingdom of heaven. She accustomed him to look upon all things in the light of faith, and thus laid the foundation for that humility in good fortune and endurance in misfortune which characterized the holy king. Louis was crowned king when he was only 12 years old. His mother, however, was entrusted with the actual government of the kingdom during his minority. Meanwhile, Louis was being educated in all the duties of a Christian prince. Among his instructors there were several Franciscan friars, and later on the young king himself joined the Third Order of St Francis. 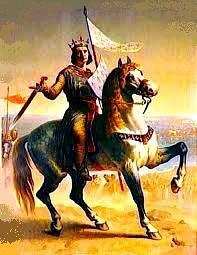 Saint Louis IX had governed his kingdom for several years in his own name, when he vowed, in the course of a serious illness, that if he would recover, he would make a crusade to the Holy Land, to wrest the holy places from the hands of the infidels. Upon regaining his health he at once carried out his vow. 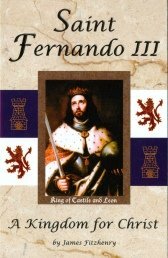 He took the fortress of Damietta from the Saracens, but he was nowhere near as successful in his crusade as was his first cousin King Saint Fernando III of Castile and Leon. Apparently it was not God's will that Saint Louis IX was successful, for he was taken captive after his army had been weakened by an epidemic. After he had borne the sufferings of a prisoner of the infidels for several months with holy serenity, the terms for his release were submitted to him; but there was attached to these terms an oath, that if he did not fulfill them, he would deny Christ and the Christian religion. The holy king replied: "Such blasphemous words shall never cross my lips." They threatened him with death. "Very well," he said, "you may kill my body, but you will never kill my soul." Filled with admiration at his steadfast courage, the finally released him without objectionable condition. After securing many other terms favorable to the Christians, he was obliged to return to France, since his mother had died in the meantime. In the government of his kingdom, Saint Louis IX proved how profitable piety is in every respect. He promoted the welfare of the country and his people in a remarkable manner. His life as a Christian and as a Christian father was so exemplary that he has been found worthy to be chosen as the patron and model of Tertiaries. The most important principal of his life was the observance of the laws of God under all circumstances. His biographer assures us that he never lost his baptismal innocence by mortal sin. He himself set such store by the grace of baptism that, in confidential letters, he took pleasure in signing himself "Louis of Poissy," because it was in the parish church there that he had been baptized. Saint Louis IX never tolerated cursing or sinful conversation either among the servants or among the courtiers; and never was he heard to utter an unkind or impatient word. he wished to avoid all unnecessary pomp and luxury at court, so that more help could be rendered to the poor, of whom he personally fed and served several hundred. His wardrobe was as simple as it could fittingly be, and at all times he wore the insignia of the Third Order under his outer garments. On special occasions he publicly wore the habit of the Tertiaries. In order to curb sensuality he not only observed all the fasts of the Church with unusual severity, but denied himself certain food for which he had a special craving. He was a most solicitous father to the 11 children with which God blessed his marriage. He himself prayed with them daily, examined them in the lessons they had learned, guided them in the performance of the works of Christian charity, and in his will bequeathed to them the most beautiful instructions. He fostered special devotion to the sufferings of Christ; and it was a great consolation for him when he gained possession of the Crown of Thorns, for the preservation of which he had the magnificent Holy Chapel built in Paris. 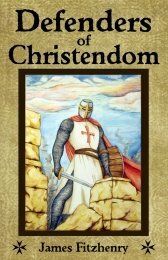 When serious complaints concerning the oppression of the Christians in the Holy Land reached his ears, he undertook a second crusade in 1270, but on the way he died of the plague, contracted while visiting his sick soldiers. 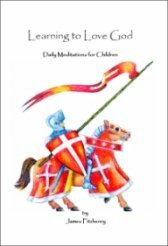 Amid exclamations of holy joy because he was going into the house of the Lord, Saint Louis IX surrendered his soul to God on August 25. St. Louis was canonized by Pope Boniface VIII in 1297.